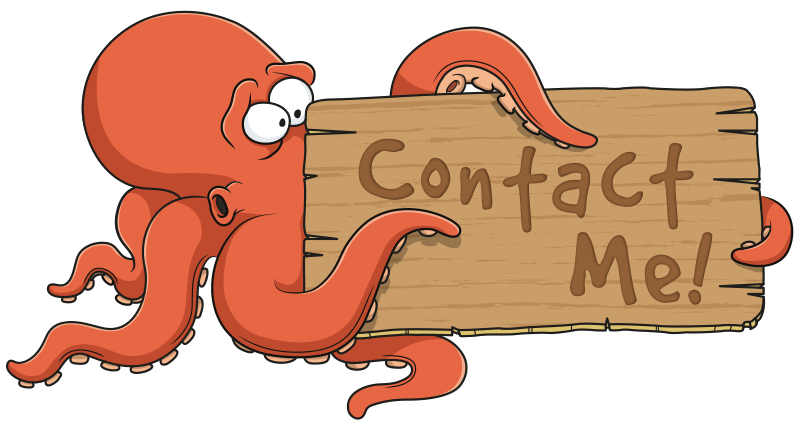 Character Design | Custom cartoon character designs for your projects! Creating fun and appealing cartoon character design is something I specialise in and the only limit is your imagination – whether it be animals, dinosaurs, people or even creatures from beyond the stars! Cartoon characters make fantastic marketing tools if you want to attract the right customers and liven up your marketing. They are entertaining, uplifting and create lasting interest for companies and products alike. I can work to update any existing character designs you may have or work with you to create a new character or mascot for your business, brand or product. I can also create a variety of styles for your character to really capture a personality and essence! Cartoon character design also ties in well with my cartoon logo services. A cartoon logo incorporating your character or mascot is the perfect way to promote your business, website or blog. You may even need a series of cartoon characters for a new story you’re writing or a comic strip you’ve devised? How do you come up with a character design? Generally, all of my characters start out as an idea and a pencil sketch. Once I have something down, I’ll send it to you for approval – at this stage, we can work together on the look and feel of your character, as well as the pose. Once this has been completed, I’ll take your character and create the digital outlines, along with the proposed base colours and send to you for a second approval. I then add the shading and highlights, along with any final details and there you have it! How is the cartoon artwork supplied? I can supply your artwork files in a variety of formats, and as I work primarily in vector format, they can be scaled to any size without loss of quality and can be placed on almost anything! Let’s get started on your cartoon character design! The possibilities are only as limited as your imagination!